Also available in the with thumb version! Most swirls are added during the washing process so it is very important to have a high quality washing tool. 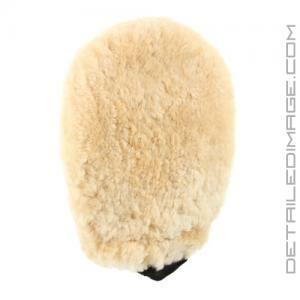 Generic mitts and sponges are often not soft and plush enough to safely clean your entire vehicle. They lack the paint safe fibers and pockets of space that ensure you don't grind in contaminants while washing. The extremely soft collection of natural paint safe fibers makes this a premium wash mitt for top quality detailing work. Equally important is that contaminates in the mitt are easily released when you put the mitt in your rinsing bucket. Releasing contaminates is critical, so they do not remain on the surface while you continue to wash. This product is made from natural materials, which means there are varying levels of durability compared to synthetic mitts. 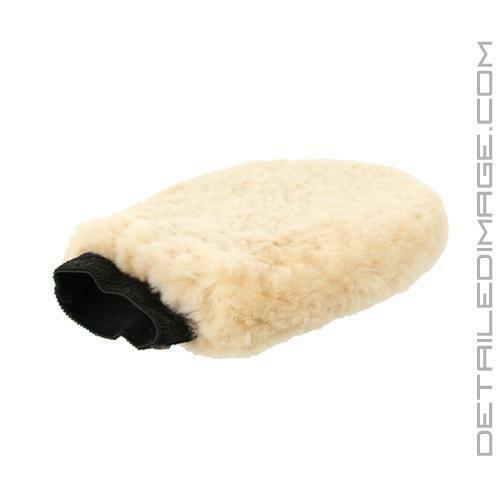 However the ultra plush natural fibers in the Sheepskin Wash Mitt give you peace of mind knowing you are using a paint safe mitt. The only difference between this mitt and the one with the thumb is just the thumb. They are both from the same quality materials, this one doesn't have a specific slot for your thumb. Use one today and you will be impressed with the outstanding results! The DI Sheepskin Mitt is a main tool in my detailing arsenal and one I would highly recommend to anyone out there. It works very well both with traditional washing methods as well as rinseless products, such as Optimum No-Rinse. It's one of the few tools that is always used and has no replacement so there's no wondering what to choose for a specific car, as we do with cleaners, polishes, claybar, etc. Definitely a must have for anyone and a big time favorite of mine! Product Demonstration and detailing guide done by Chemical Guys Friend and Customer Craig using a complete lineup of Chemical Guys products. Have used these mitts for years. Last one lasted me 3 years as long as you clean it with cold water after every use. I've used this in conjunction with the 2 bucket washing method. Its very soft and worked as described. I had no issues with it. I have only used it once but will see how it performs after more usage. It takes alittle to dry out, just like other MF mitts. Excellent wash mitt for the price. Easy to use with "No Thumb" and soft when dry or wet. No problems removing dirt from the cars. Be careful when wiping around tires or pipes as the black can rub off onto the mitt.